When we lived in cottage country, we’d visit the local bakery in Baysville, a small, tourist town five minutes south of us. The smell of fresh baking does something to a body. Sometimes it takes you back to when life was simpler. Today, cottage and camping life have changed. Cell phones are getting better reception, and seeing satellite dishes on cottage roofs has become the norm. But sometimes it’s nice to just unplug, and let nature stir your soul. In my new series, Mysterious Tales from Fairy Falls, I uproot a troubled teen with a complicated life—he or she also possesses a psychic ability—and place them in the serene setting of Fairy Falls. These kids then have to deal with the fact that they’re different, and try to fit in, which as you can imagine isn’t that easy. Welcome to Fairy Falls. Expect the unexpected. The following moist and spicy recipe is geared to enjoy with coffee on the dock, snacks around the card table, or a hot cup of tea in a hammock. With a prep time of 15 minutes, and cook time of 50 minutes, this pumpkin bread actually tastes even better the day after it is baked, and the smell of it coming out of the oven may take you back to your favorite tourist bakery shop while vacationing with your family. Preheat oven to 350° F (175° C). Grease and flour three 7x3 inch loaf pans. In a large bowl, mix together pumpkin puree, eggs, oil, water and sugar until well blended. Whisk together the flour, baking soda, salt, cinnamon, nutmeg, cloves, and ginger in a medium bowl. Stir the dry ingredients into the pumpkin mixture until just blended. Pour into the prepared pans. Bake about 50 minutes. 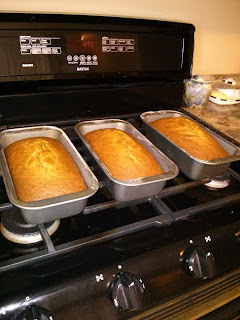 Loaves are done when toothpick inserted in center comes out clean. 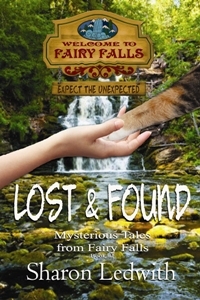 So while those loaves are baking, and filling your kitchen with the most amazing smells, why not relax on the couch, and visit the small, tourist town of Fairy Falls, starting with Lost and Found, Book #1 of Mysterious Tales from Fairy Falls? Just don’t forget the bug spray. MMMM! Life is better with pumpkin bread. 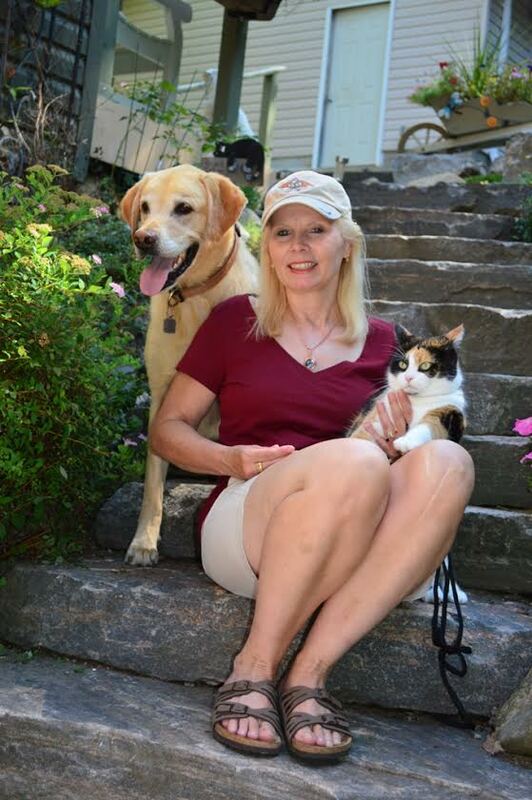 Thanks for the recipe, Sharon, and congratulations on Lost & Found! Thanks, Susan! This recipe is a family favorite and to-die-for! Cheers for all your support! Thanks so much for hosting me in your virtual kitchen today, Sloane! Hope there's some of that pumpkin bread leftover for the Canadian Thanksgiving this weekend! LOL! Cheers and hugs! I'm always happy to have you and your awesome books and your delicious recipes, Sharon. Have a wonderful Thanksgiving! You're welcome, Leigh! Cheers for your support and kindness. You're such a Good Witch! LOL! Oh, this bread smells up the house wonderfully, Emma! It's like you have your own bakery in your house. Thanks for the good wishes! Cheers! Never thought to try making pumpkin bread. I'm a zucchini bread gal, but I'll try this one, Ms Witch. Bahahah! Thanks, Vonnie, you won't be disappointed my sweet Wench! Cheers! ooohhh, pumpkin bread! Thanks for sharing your recipe, @Sharon Ledwith! My pleasure, Helen and Lorri! Cut yourself a slice!